In just a few days we celebrate a holiday somewhat more popular in the US than in Mexico. That’s just as well because it’s a classic North American kind of holiday in many ways. We are a family, which is why our relationship is so intense and personal at times. It started as invasion by France to collect a debt, but the larger and better equipped French invasion force was defeated by a ragged group of Mexicans, some armed with little more than machetes and pitchforks. The Battle of Puebla on 5 May 1862 was 150 years ago this Saturday. It was not decisive, needing a few years before the colorful armies and politicians could sort it all out. But the victory at Puebla is a story deep at the heart of Mexican character – a determination and toughness that the great continent of North America shares as a very odd, sometimes dysfunctional family. History has been hard on Mexico. In 1810, Spain was being ravaged by Napoleon and utterly incapable of maintaining order in its sprawling empire. Something had to be done. 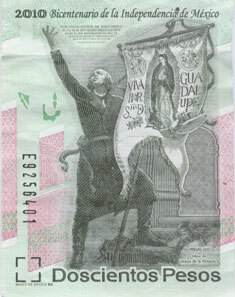 On the 16 September, Father Miguel Hidalgo celebrated Mass with a call for independence. 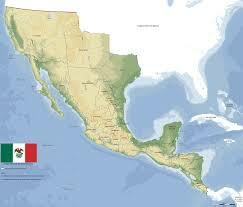 After a brief war New Spain was left behind and Mexico was born. It stretched from what is now Oregon to Colombia, sprawling across the underbelly of the continent. Shortly afterward, the southern section across the jungles of Mayaworld broke away, then fell apart into the smaller states of Central America that still tend to share the same blue/white/blue in their flags. Unlike its eventual neighbor to the North, the United States of Mexico was founded in a need to create order in a world that was falling apart. The conflict between a strong centralized government and local control that today tears at the Estados Unidos del Norte today has always been at the core of Mexico. Map of Mexico at independence, 1810. Creating order from chaos is not something that North Americans, as a people, are known for. We are perched on a rugged continent, taking care of what we have to as we have to and making the best of opportunities. Mexico, in particular, has shown a remarkable resilience. The French learned this the hard way when they took control of the central government in Mexico City in 1862. They could beat Mexico, but it could not be conquered. Before the sorry dust-up with France, there was the war between two of the brothers that make up North America. The US-Mexican War ended with the Treaty of Guadelupe Hidalgo in 1848 in which we took about 1/3 of Mexican land for $15 million. That moment defined the border states, all once part of Mexico. Settled later on by Anglos in from the East seeking opportunity, they now see people up from the South for the same reason. A mural depicting the Battle of Peubla. No matter how many pieces of paper are dictated, signed, and filed the spirit of the people of North America remains the same. When the going gets tough, the tough pack up and move on. This is how this rugged land was settled by natives thousands of years ago, and none of us are any different. Opportunity is what matters. We all tend to forget the details of wars and battles regardless of which side of the border we find ourselves on. Within 5 years from the first Cinco de Mayo the US Civil War was settled, the French were firmly kicked out of Mexico, and the UK granted Canada Dominion status (home rule). The continent passed through adolescence into full citizenship in the world together, leaving behind the embarrassment of our fights. Why so many accoridan playing mariachis? They, like the polkas, came with Germans. Since that time, Mexico has grown and at times prospered as waves of immigrants from Germany, Ireland, and many other places came to settle there almost as much as they did further North. It has 100 million people struggling to make sense of their history and determine what it all means to them as one people. Like any dysfunctional family, they often want to define themselves by their older and wealthier brother who always seemed to be the favored one. “Pity poor Mexico, so far from God and so close to the United States,” is how Porfirio Diaz put it. History may have been a little harder on Mexico, but that only makes its heart stronger and its heavy burdens that much more bearable. For all the grand ideas that gave birth to the USofA, our continental middle brother came into the world with little more than determination and a spirit that cannot be crushed. These are values at the heart of our family. We have a lot to celebrate together because as we grow older it becomes more and more clear that we have much more to share than we might have previously thought. What we have is North American experience, the North American family story. 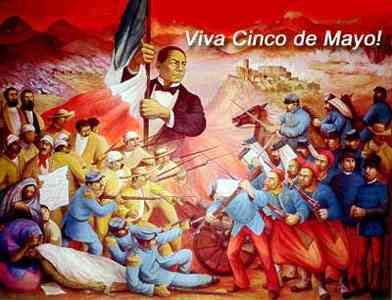 It doesn’t matter if it is told in English or Spanish or French, and Cinco de Mayo is as good of a day to celebrate it as any. ¡Salud! 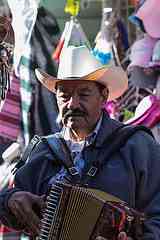 This entry was posted in People & Culture and tagged Cinco de Mayo, current events, history, holidays, Mexico, US. Bookmark the permalink. My pleasure. Enjoy the Merry Month Of May. Great stuff there, thank you!